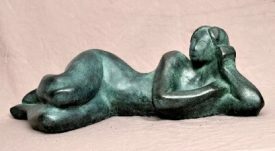 We present a large selection of the Lost Wax Bronze and Cold Cast Bronze modern sculptures created by the Sculptor Lluis Jordà in recent years. 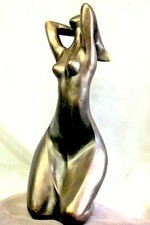 ALL SCULPTURES WITH THE SCULPTOR’S SIGNATURE AND AUTHENTICITY CENTIFICATE. 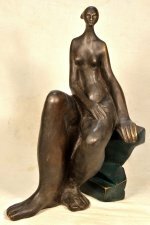 Bronze was always used to create sculptures and many of them still show us the beauty of the works created by many great artists of antiquity. Still today they use the same basic process as in those days to transform the metal block into a work of art: the lost wax method. With it you get as always the wonderful works of art that appear in our museums and art galleries. However, this process is long and expensive and in many cases its price exceeds our economic possibilities of purchase. This motivated the development of the cold-casting process to create a lower-cost option to the traditional hot casting process. Cold casting uses the same metals but in a different form. The metals are ground to a fine powder, mixed with a casting compound and poured into a mold. 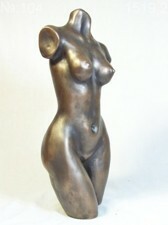 The result is a surface that almost duplicates the look of an expensive traditionally cast piece. It can equally be polished to a high gloss and patinated , because the surface is also metal. 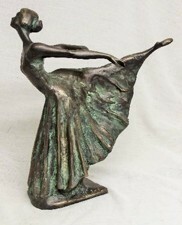 All in all, a cold-cast bronze sculpture is a work of art that looks the part, at a fraction of the cost of a solid bronze. These pages show you both alternatives in our sculptures.